New Year's Eve has come and gone, but the excitement of the beginning of a new year hasn't yet waned – especially when it comes to some of the hottest retail sales in the year. 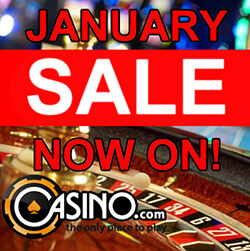 As such, in order to get into the spirit of January Sales, Casino.com is running an exciting promotion that will last one month long. The January Sale promo at this Playtech backed gambling site is the perfect way to enjoy all the games at Casino.com, with the chance to earn non-stop 25% bonuses week after week – until the end of the month. The idea is very simple. Because January marks the beginning of a brand new year, Casino.com is offering players the chance to get 25% extra every time they deposit money into their real money accounts this month. 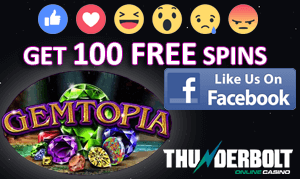 The bonuses are available whether through non desktop play, or on the Casino.com mobile platform. It is even available on the casino's unique iOS app for gamblers on the go. Getting your hands on the New Year bonus boost is an easy process. Your first step is to make a deposit into your account and enter the bonus code JANSALE. You will need to make a minimum deposit of R200, which will see you earn the bonus. Once you've done this, you'll immediately receive an extra 25% worth of credits into your account. That means that if you deposit R200 into your account, you'll have R250 to play with. The great news is that you are allowed to reuse the same bonus code over and over again throughout the month of January 2015, and you have the option to claim up to R100,000 a week in bonus credits week after week until January 31st. The January Sales bonus can be used to play nearly all games at Casino.com, including Slots, scratch cards, Pai Gow, Casino Hold 'em, Roulette, Baccarat, Blackjack, Stravangza, Craps, Sic Bo, Video Poker, Blackjack Switch and more.